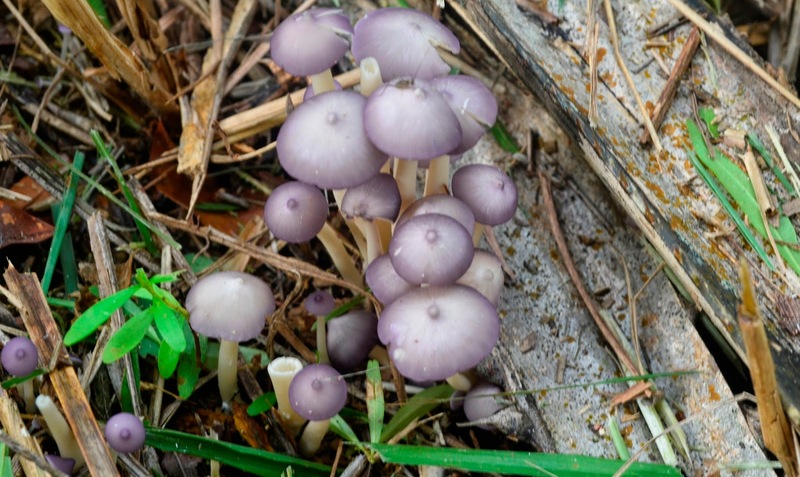 Purple fungus having cup features, growing close to base of the oil palm tree. 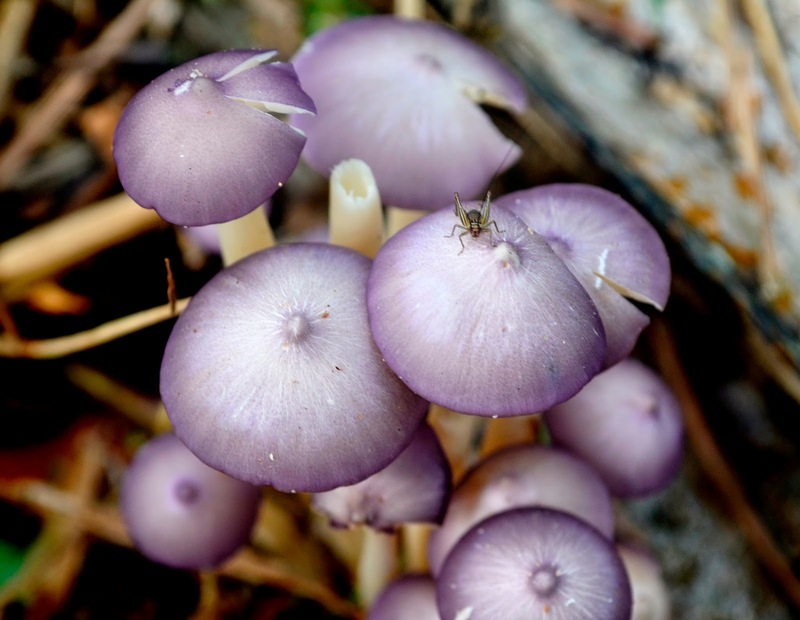 Today I stumbled upon two types of fungus but with one similarity, both are purple in colour. They were seen growing near decomposed branches of the oil palm and other organic matter around the base of the oil palm tree trunk. 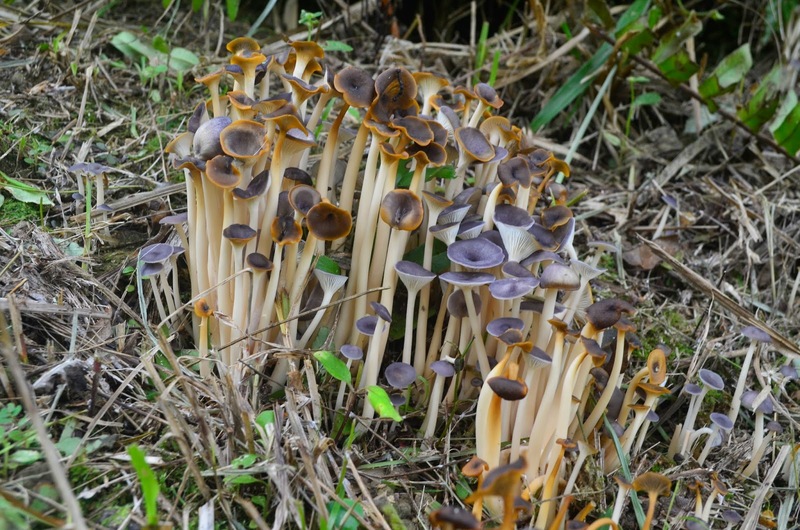 The fungi is conveniently placed under the plant kingdom but in reality they are very different from plants. Fungus don't have chlorophyll, their cells are not made of cellulose but of another complex sugar-like polymer called chitin. However, it is because that they enter into all sorts of relationship with plants that they are included in the plant kingdom. For example, they live on dead plant matter and by the same token can cause diseases to plants which can result in entire crops being wiped out by fungal attack. For humans there are of course some useful things derived from fungus e.g. penicillin for clinical medicine, yeast for cheese. 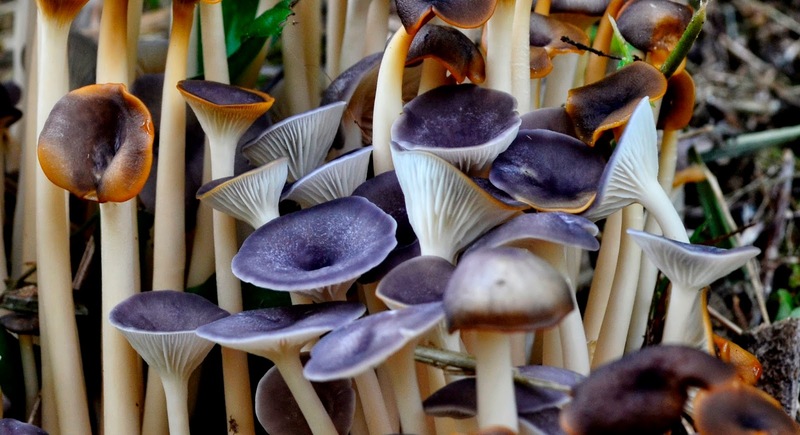 Then, there are the many types of edible mushrooms that are grown on commercial scales for human consumption the world over. Cantik..saya belum pernah lihat kulat sebegini cantik depan mata..